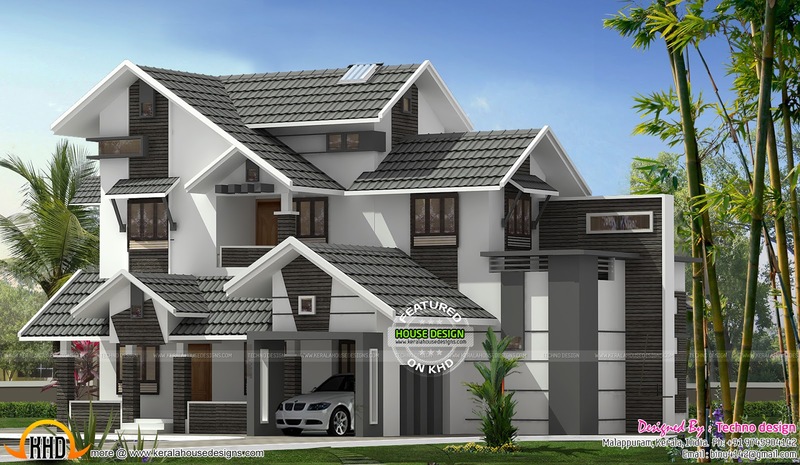 2210 Square Feet (205 Square Meter) (245 Square Yards) 5 bedroom attached sloping roof house. . Designed by Techno design, Malappuram, Kerala.